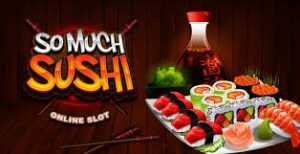 So Much Sushi Slot Review - 5 reel 25 pay line game and bonus spins! A lot of people seem to be following the fashionable trend of sushi, with so many raw seafood eateries popping up everywhere, thing are beginning to smell a little fishy, but the only kind of sushi you’ll find here at Mobile Bingo Bonuses is the fantastic So Much Sushi Slot from the masterminds over at Microgaming. You have to commend Microgaming for coming up with such a fantastic and unique theme for So Much Sushi and being able to carry it off, where other gaming companies would have tried the Japanese food theme and ended up with Tamago on their face. What is So Much Sushi Slots? So Much Sushi Slot is a standard 5 reel 25 pay line game and form part of the popular So range of games from Microgaming, others include So Much Candy and Co Many Monsters, but for this theme Microgaming cooked up the ingenious Japanese Cuisine that mostly consist of raw seafood with a relaxing musical background. Player are in for a tasty treat as they spin the reels with the games symbols mainly consisting of popular traditional sushi dishes like Uramakizushi roll, prawn, Gunkanmaki, nigirizushi, makizushi alongside A, K, Q, J and 10 symbols. The So Much Sushi Slot logo acts as the games Wild symbol, as you probably already know, the wild symbol can substitute for any other symbol in the game with the notable exception of the scatter symbol, which is another bonus symbol. Simply line up 3 or more Sushi symbols and you will trigger the Much More Sushi Feature, where you have the opportunity to unveil a 25x Split Symbol Reward which will allow you to dramatically increase your winnings. 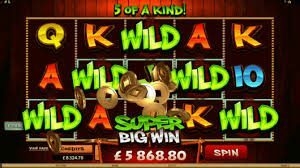 By far the most lucrative symbol to look out for is the bottle of soy sauce, if you see this saucy little bottle on the reels in a combination of 5, 4, 3 or 2 ironically you’re in for a sweet surprise, with wins of £187.50, £25, £7.50 or £2.50 available, the scatter symbol can also unlock the Spins feature where your winnings are set to soar with winnings of up to £64,000! With the So Much Sushi slot you can experience the tranquil mood a traditional Japanese restaurant together with the high of winning lots of cash along the way.